This is a new, picture book version of one of the most popular titles in the "First Reading" series. 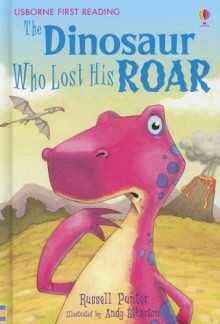 Sid the dinosaur likes scaring his friends with his ear-splitting roar. But what would happen if he lost his voice? He's about to find out. This title comes now with rhyming text to add an extra level of interest and enjoyment. It features bright, animated, contemporary illustrations that bring the story to life.